When building a log home it is important to think of preventative maintenance from the beginning design stages. You want to protect your logs against water, insects, decay and damage from the suns UV rays. When you are in the design stage you will want to consider your roof over-hangs to ensure the log walls do not have areas where any rain water will drain along them constantly. 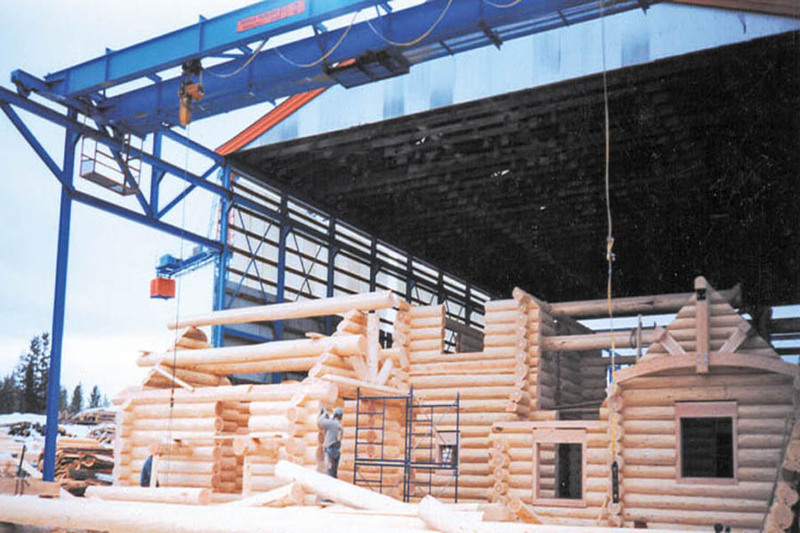 When the log shell is complete and erected on your home site, we recommend that the logs are washed to remove any dirt, sawdust or mud splats that can appear after leaving our construction yard. People usually use a pressure washer to rinse the logs at this point. When they are dry you would then apply your preservative wood treatment. This treatment would contain a water repellent with some pigment and UV inhibitor. There are many on the market and they are improving them every year. You are able to get good UV protection now without having to stain your logs with much colour if you prefer a more natural log look. As for the inside, that depends on the look you like. You can oil, stain, varnish or leave them as they are. Consider dusting the logs when you make this choice though. Sealed logs may also reduce some of the checking. If you do a proper job of caring for your logs when your log house is first built you will save yourself extra work for the future. You should follow the recommendations of the exterior treatment manufacturer for re-applying. 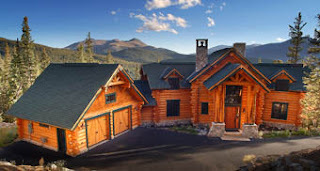 There is more maintenance involved with a handcrafted log home compared to a vinyl sided home, but we think the effort is worth it. You have your final log home plans submitted to Sitka Log Homes and your handcrafted log house is ready to be built. This is an exciting time…it’s finally happening. The trouble is you live in New Zealand (or the US, or Europe, or Australia, or Asia…) and your log home is being built in 100 Mile House, BC Canada. Each day you are curious to see how it is coming together and you wish you could pop in and watch the process. We understand this and so we have developed a web page for your new log house project. It is a separate page just for your viewing, and anyone else you would like to share the address with. 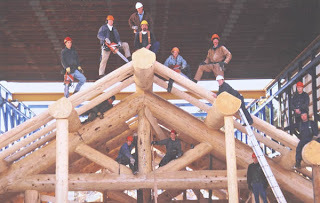 Friends and family are always anxious to see what your new log house will look like too. 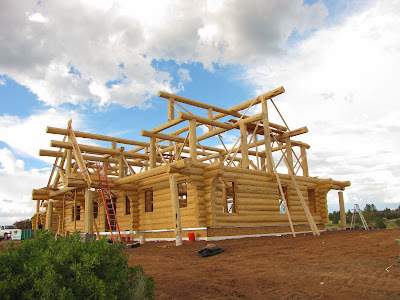 Every few days Sitka Log Homes will take some photos of your log house under construction and post them on your site. This way you will always know what stage your log home is at and can follow its growth.